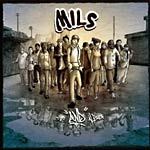 Producer Mils is back at it again with yet another vast array of folks that he's collaborated with over the last few years! Synth driven spaced out homegrown beats featuring the likes of Pigeon John, Luckyiam.PSC, Paul Barman, Eekwol, Scarub, DJ Moves and some of Canada's lesser known MC's!! !